South China Morning Post is out today with a sweeping story on Bo Xilai’s upcoming trial. According to sources close to the family, relatives of Bo are blaming his downfall in large part on his “greedy” wife, Gu Kailai, whose murder of the British Heywood set in motion the chain of events that led to China’s biggest political scandal in years. One source close to the family tells SCMP that Gu is likely to testify against Bo at his trial, which could begin as soon as a week from today. The London Telegraph also reports that ahead of his trial, the state has been detaining and putting under surveillance both Bo’s enemies and allies.The London Telegraph also reports that ahead of his trial, the state has been detaining and putting under surveillance both Bo’s enemies and allies. 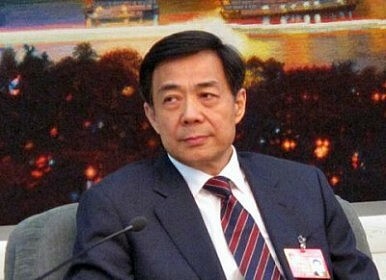 Also on Bo Xilai, over at Foreign Policy, Pin Ho and Wenguang Huang profile is son Bo Guagua. Following the co-founder of Wikipedia, Jimmy Wales’ threats to pull Wikipedia from China rather than heed state censorship, Huang Zhisong—Wikipedia’s China editor—tells Radio Free Asia that he has been barred by the government from leaving mainland China until 2016. When Zhisong asked why he wouldn’t be allowed to leave, Chinese authorties told him he should know the reason. Tech In Asia has a summary of the interview in English. The Lowy Institute’s Linda Jakobson and CSIS’ Christopher K. Johnson discuss Xi Jinping, the direction of China’s foreign policy and its relationship with the U.S.